The Missouri Conservation Heritage Foundation (MCHF) Board of Directors unanimously approved the appointment of Kevin Roper as the Executive Director for the Foundation. Mr. Roper has worked the last 35 years in Memphis, Nashville and Washington D.C. in retail, healthcare and higher education, having previously served as the president of the Methodist Le Bonheur Healthcare Foundation and as the Executive to the President for Government Relations for The University of Memphis. His background includes strategic planning, fundraising, alumni affairs, capital campaigns, planned giving, marketing, business development, clinical research, workforce development, government relations and public policy. He has been involved in the development, planning and execution of over $600 million in programs in the private and public sectors from philanthropic and government funding for programs locally and nationally. Kevin holds an undergraduate and graduate degree from the University of Memphis and has held adjunct teaching and research positions at the University of Memphis and Vanderbilt. 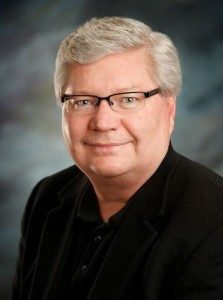 He has spoken at a number of professional national and regional conferences including The Association of Fundraising Executives, The Association of Healthcare Philanthropy and The Council for Economic Education. Mr. Roper is anxious to lead MCHF into a new era, replacing Chris Vitello who served as Executive Director of the Foundation since September 2013. The Board did not waste any time finding a replacement as there is much work that needs to be done in conservation efforts across Missouri. MCHF was established in 1997, with its main goal to support the Department of Conservation’s mission of managing and protecting Missouri’s fish, forest and wildlife resources. Kevin has worked on a number of environmental issues during his career, from bio-fuels to groundwater issues and stream mitigation. Kevin has also worked closely with biologists to help fund and support efforts to better manage the resources of the Mississippi River, including the management of expanding Asian carp populations and ongoing pollution concerns. His background includes experience in budgeting, strategic planning, interagency and interstate coordination and policy development and implementation. MCHF works with the Conservation Department and its partners to fund projects that address critical conservation and outdoor recreation needs. Kevin will begin his duties as Executive Director on February 1, 2016.